The Tepper School’s legacy is tied to our pioneering work in management science - today nearly all leading B-schools include some form of the Carnegie Mellon management science model in their curriculum. A decidedly small school within a research university, we are a conservatory of innovation, fostering partnerships amongst students and faculty in other schools and centers throughout campus. As one of the most technologically elite universities in the world, the dedication to cutting edge learning and application underlies all that we do – with an approach that allows our students to make a significant impact. Applicants to the Tepper School of Business must submit an online application, three essays, unofficial transcripts of all academic work, GMAT scores, a current resume, and a comprehensive employment record. Applicants who are non-native speakers of English must also submit a TOEFL score report. 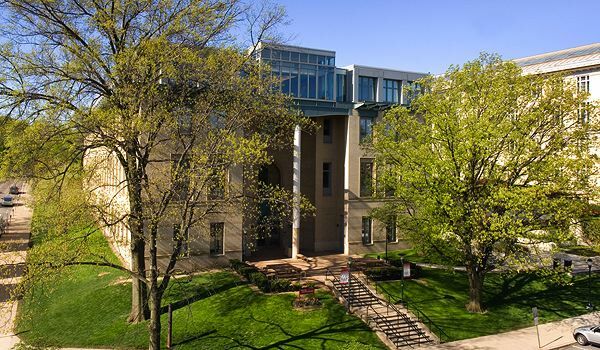 The school encourages applicants to focus "more on th...Applicants to the Tepper School of Business must submit an online application, three essays, unofficial transcripts of all academic work, GMAT scores, a current resume, and a comprehensive employment record. Applicants who are non-native speakers of English must also submit a TOEFL score report. The school encourages applicants to focus "more on the range, rather than the mean when reviewing class profile factors" and reports that "half of our students have GMAT scores below the median." While many of its students come from an engineering or science background, the school encourages candidates from diverse academic backgrounds and disciplines to apply. Through both curricular and extracurricular offerings, Tepper “faculty and administra­tion do a great job preparing students for future careers.” In partnership with Carnegie Mellon’s Career Opportunities Center, students have access to corporate presentations, on-campus interviews, career and internship counseling, and networking trips to cities like New York and Boston. The school maintains strong “relationships with specific tech and consulting firms” on the East Coast, yet recruiting comes from a range of sources: “Companies come here for all disciplines from all over the country/world,” offering “quite a variety of opportunities.” A current student shares, “I’ve had a great experience at Tepper. I was able to land a full-time offer at a prestigious consulting firm and I’m con­fident that I have learned the proper business tools to excel there once I graduate.”In recent years, Tepper students have taken diverse jobs at corporations including Deloitte, GlaxoSmithKline, Accenture, Booz and Company, McKinsey & Company, KPMG Consulting, PriceWaterHouseCoopers, General Mills, Amazon.com, Unilever, AOL, Google, Intel Corporation, Morgan Stanley, and Wachovia. The class of 2011 had a mean base salary of over $101,000, with almost 80 percent of the class receiving an addi­tional signing bonus between $2,000 and $52,000. Financial services and consulting were the most popular industries, capturing almost 29 percent and 25 percent of the class, respectively, with technology coming in third, with about 20 percent of graduates. Lewis Hay III - Chairman and CEO, NextEra Energy, Inc.
Want more info about Carnegie Mellon University, Tepper School of Business Distance MBA? Get free advice from education experts and Noodle community members. Is it possible to attend some classes in person while studying an MBA remotely at Carnegie Mellon University?